Enjoy our quick guide to Andratx, a traditional rural town situated in the south west of Spain’s Mallorca. It is around 35 km (22 miles) from Palma and the airport. Similar to the other coastal towns in Mallorca, Andratx is around 5 km (3 miles) inland from its port area otherwise known as Puerto Andratx. Although Andratx is not exactly tourist-orientated, it is a popular choice among foreigners who have bought their second homes in the area. Its secluded location as well as its friendly atmosphere had allowed it to continuously attract the rich and famous for many years now which may have contributed to the area’s thriving expat community. Below we feature an expat interview with Javier Arriola of First Mallorca who covers the Andratx area. Specifically, we asked Javier on the advantages of choosing Andratx as a place to live and the value for money that one can get if you decide to stay permanently in the area. Javier, thanks for helping our readers. I guess we should start off by asking what would you say would be the advantages to living in Andratx compared to other Mallorca towns? There is no other place where landscapes are so beautiful, views are so spectacular, mountains and the Mediterrenean Sea are within one´s reach and people are so friendly and nice to each other but everybody still enjoys such a high quality of life and get their money´s worth. People in Port Andratx are very multifarious, diversed, open and tolerant as well as aware about the safe investment opportunities and the healthy property market situation. People who love to live close to big beaches and want to share them with lots of tourists will never be happy in Puerto de Andratx. Having dinner in one of the most amazing Italian restaurants. I definitely recommend Miji Mij for a sundowner and Made in Italy or Osteria de Sandro – the two best pizza bakers in town. For the calm evenings at home, there is a delivery service of a very delicious Thai restaurant called Tuk Tuk which delivers their food with a proper autorick. There are international doctors, dentists, a pharmacy and plenty of shops, like supermarkets, fashion and souvenir shops. Yes, the very pictoresque St. Elm or San Telmo is a beautiful fishing village overlooking the Dragonera island, which is a Nature Reserve. There is also S´Arraco with its bohemian atmosphere and weekly markets. All the international schools tend to be centered around Palma, the nearest of Andratx being probably BIC near El Torro. There are several in Portals Nous (Agora and King Richard´s), one is San Agusti (Bellver College), one in La Bonanova (Queen´s College). 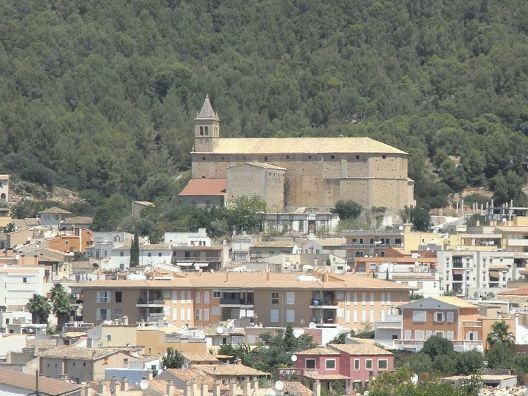 Then there are Swedish and French in El Terreno and 15 minutes North of Palma The Academy in Marratxi. Mallorca is a safe place due to several factors. One of the main factors is the clientelle it attracts – vast majority of the people coming to the island are well off people who are coming to enjoy the luxurious island. People who live here tend to be professionals or families, not impoverished or unemployed. Having said that, petty crime exists everywhere. The difference is that Mallorca being an island, it is not so easy for the criminals to get off. The market has been steadily climbing 10 percent year on year, but for very special or unique properties even more. No signs of the market slowing down, on contrary. The prediction for 2017 is a growth of just over 12.5 percent. Yes, a very good time to buy, although the market is going up. There are still good value properties, especially if one is prepared to do some renovations. How much are the typical property prices in Andratx for apartments, villas etc? There are no typical prices. A 2-bedroom apartment can be 250,000 Euros but it can also be over two million. Houses can start at 500,000 and can go up to 30 million. Javier, thank you so much for taking the time to help our readers with your experiences in Spain. If you want to contact him, you can find his details below. Here is an interesting tourist video on Andratx.